Late-night talk shows are incredibly popular in the United States. Considered ‘bedtime viewing’ by many, this established genre generally goes to air at around 11pm, reaching millions of viewers, both nationally and internationally. As an Australian, I was not too familiar with this format. Quite honestly, with the time difference and all, these shows don’t usually air here until midday the following day. On the other end of the spectrum, morning television also has a huge following in the USA ( … and Australia, to be fair). 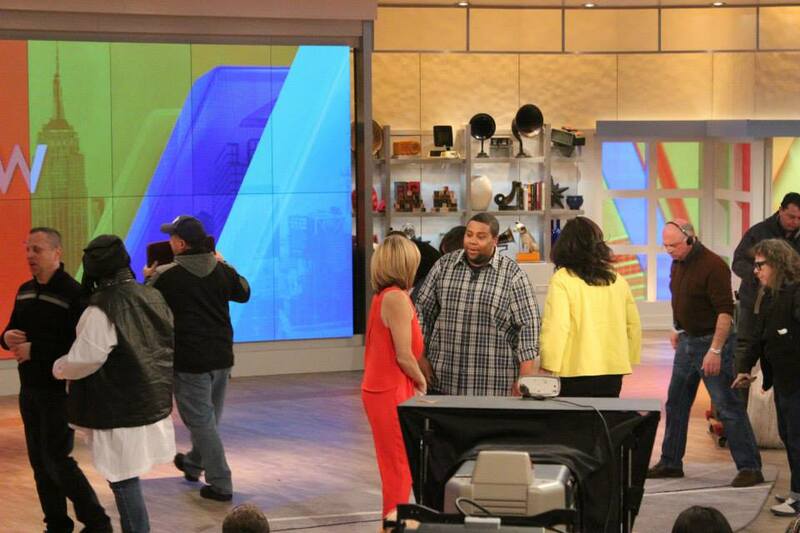 Much like Australia’s Today Show and Sunrise rivalry, America has something similar going on between Good Morning America and their own Today Show. 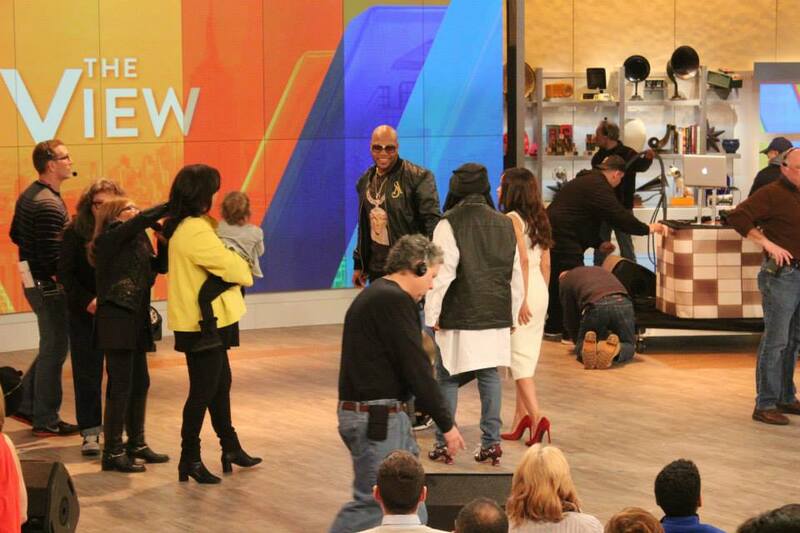 This is followed by the ever-popular Live with Kelly and Michael, and the iconic, The View. I expect you’ve now got a better understanding of the conventionalities of American talk shows because unbeknown by many, the general public can grab themselves some free tickets to these shows. Whether you’re there for the celebrities or the free refreshments, an experience like this is unforgettable. A month before leaving for New York, I received double passes for the Late Show With David Letterman, The View and Late Night with Seth Meyers. Despite being an avid-viewer of these shows, I had no idea what to expect, yet I was exponentially excited. Not only was I going to see some of my favourite talk show hosts, but I would be seeing the makings of an episode. 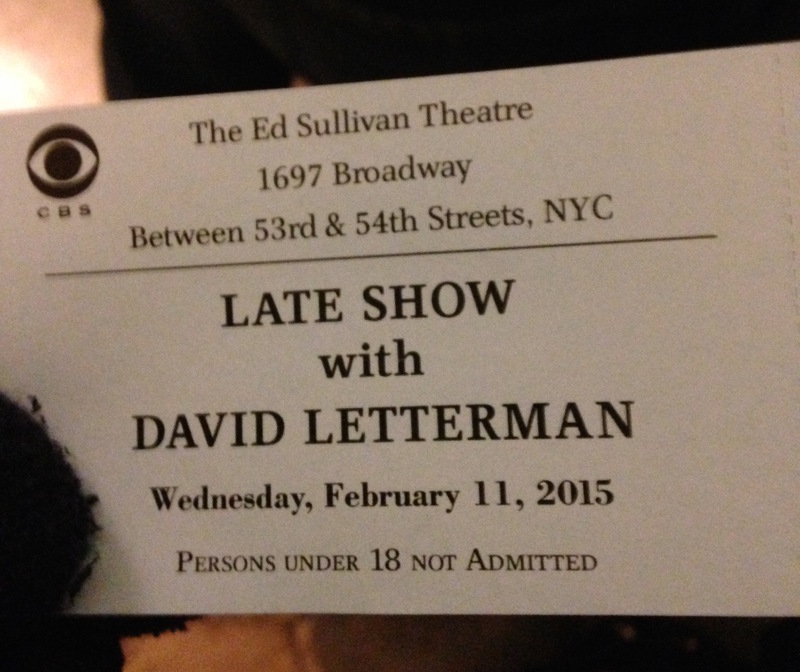 Three days after arriving in the city was our Late Show With David Letterman experience. With VIP Priority tickets in hand, David’s lovely interns escorted us into the beautiful Ed Sullivan Theater. We were then introduced to Bethany, Director of Audience Recruitment, who placed us in the best seats in the house. What a view! Seriously, David Letterman has the most incredible staff. They’re all so friendly and enthusiastic! 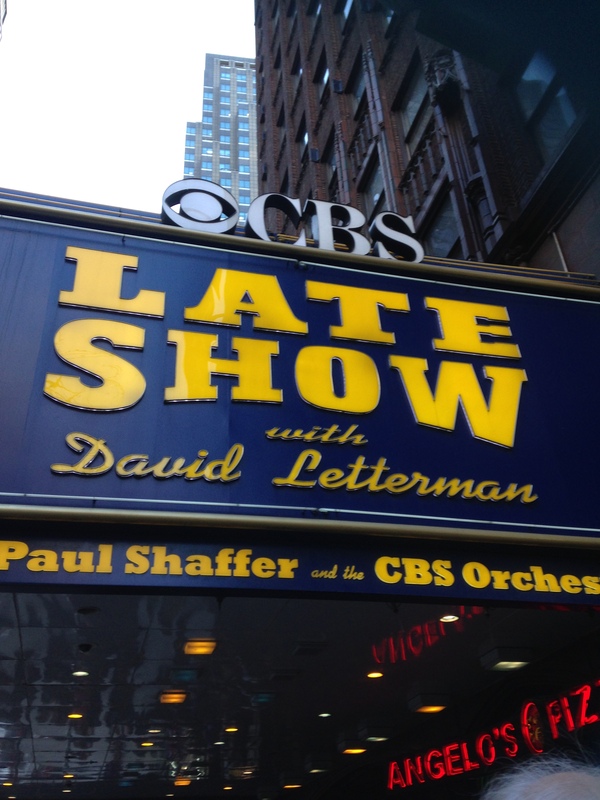 I was in shock at how clear a view I had of Paul Shaffer (and the CBS Orchestra) and the iconic, David Letterman. Since Dave is retiring very soon, I’d definitely suggest you put this show on your priority list as it’s so much fun! The guests for our night were the New England Patriots’ (NFL) head coach Bill Belichick, Mad Men’s Elisabeth Moss and Madisen Ward and The Mama Bear who were all incredible! 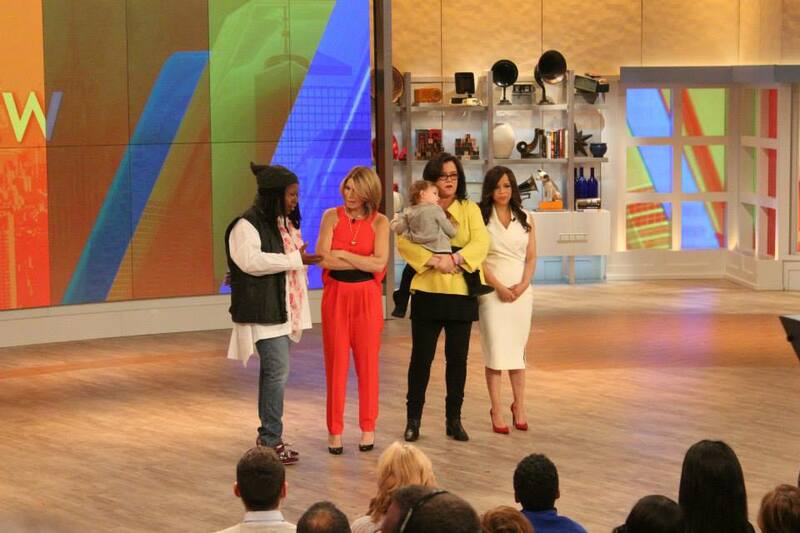 Next up was The View, featuring Whoopi Goldberg, Rosie O’Donnell, Rosie Perez and Nicolle Wallace. The ABC Studios are directly across the street from Central Park, which is absolutely beautiful. Lucky for us, our show was Rosie O’Donnell’s final episode, which made the experience extra sentimental and special. Unlike the Ed Sullivan Theatre, – which looks more like a theatre than a television studio – the ABC Studio lives up to its namesake and fits much less than the former. Once we received our wristbands, we were escorted to our very comfortable seats. It was incredible seeing the inner workings of the show, i.e. their preparation, stagecraft etc. 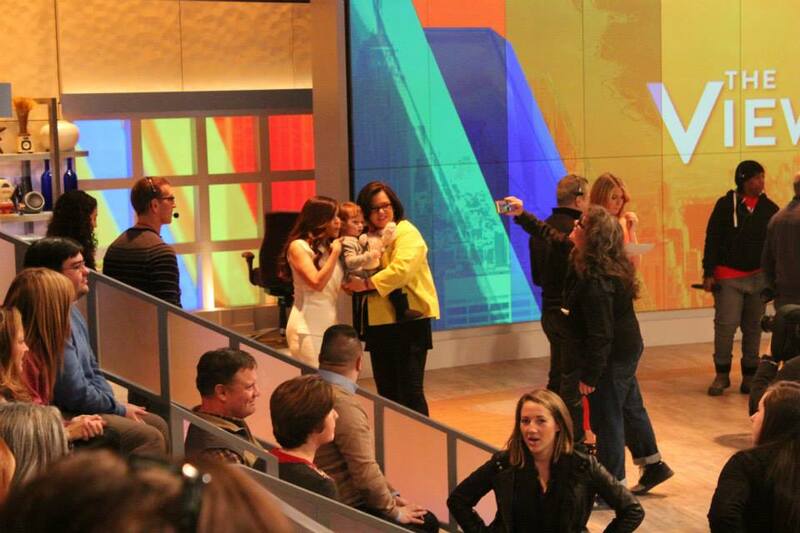 Before the show started, Rosie O’Donnell came onto the stage to greet us all with her little girl, Dakota. It was such a sweet moment. 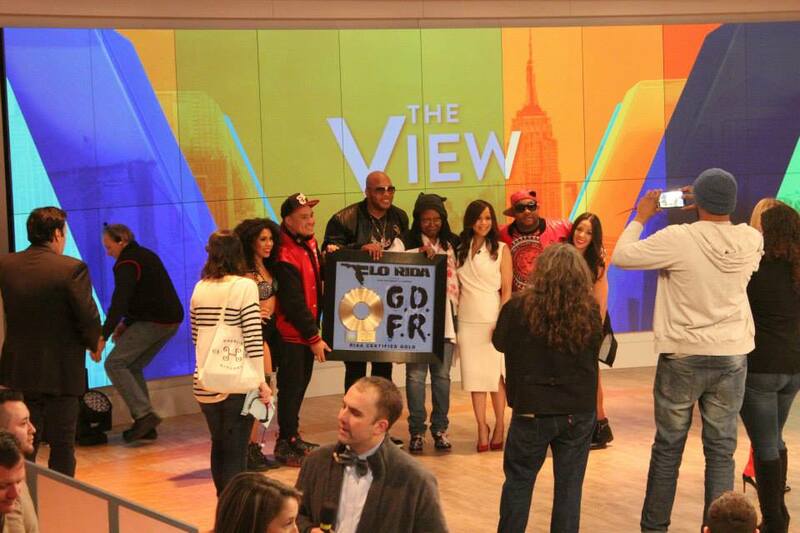 Whoopi, Rosie P. and Nicolle then joined her. 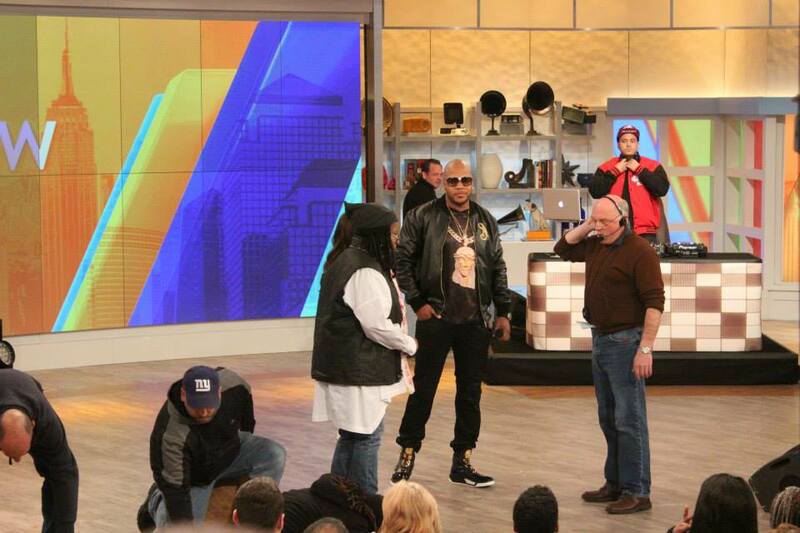 During the commercial breaks, we were given the opportunity to ask questions and take photos, which was quite surreal. Whoopi had her back to us during the first half, so half way through she turned around, exclaiming “I feel bad having my back to you! But, I know you’re all there. Thanks for coming!” It was such a kind gesture and quite funny! 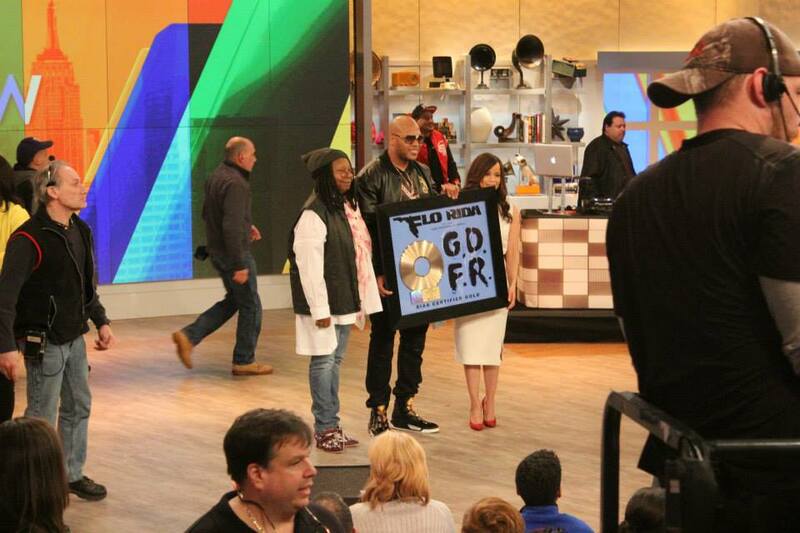 The guests on our show were Kenan Thompson (in anticipation of Saturday Night Live’s 40th Anniversary) and Flo Rida! It was an extraordinary experience and so enjoyable! All four hosts were genuinely happy to see us, as were the guests. 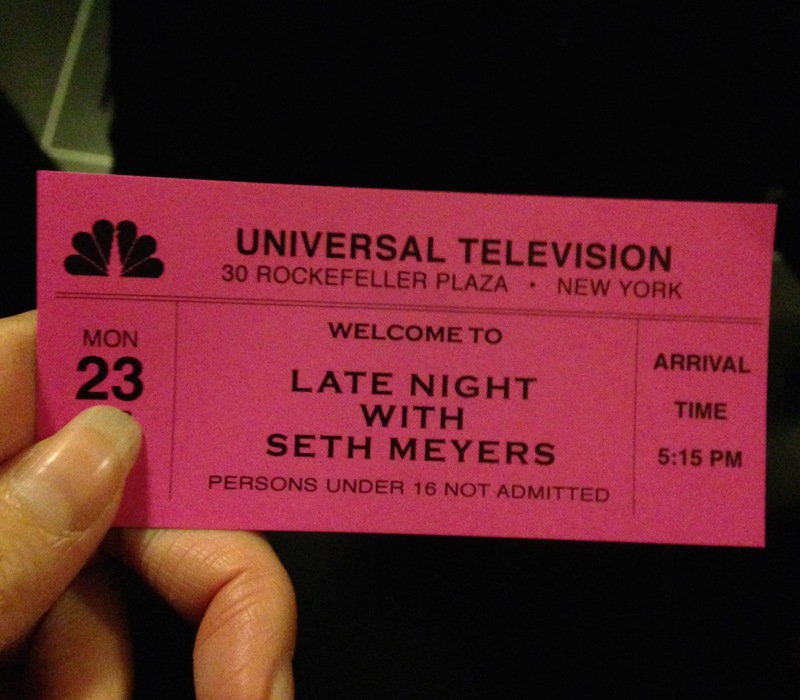 Last but definitely not least was the Late Night With Seth Meyers at the renowned NBC Studios at Rockefeller Center. Upon being escorted to the studio, we passed the Saturday Night Live and the Tonight Show Starring Jimmy Fallon studios, which was pretty amazing. Just knowing that hundreds of celebrities and important people have walked those halls is quite mind-blowing. Once again, we were given the best seats in the house where we were in perfect view of Seth and The 8G Band (and Fred Armisen!) Fred and the band came on stage first and gave us a mini performance, which really lifted everybody’s spirits. Then came Seth who loves to engage with his audience. He came up into the stalls and asked whether any of us had any questions and made us all feel at home. After years of seeing Seth and Fred on Saturday Night Live, it was incredible seeing them live. Our guests for the night were Mary J. Blige, Arrow’s Stephen Amell and MisterWives. We were all having so much fun that we didn’t realise how fast an hour could pass! If you ever get a chance to go to a live studio taping of a show, then I would definitely recommend it. The experience I had on these three television shows was unforgettable (… and a great talking point!) Not only are they fun and entertaining, but they are all free of charge! So, what have you got to lose? Next time you’re in the city, arrange some tickets for a live taping of your favourite show!